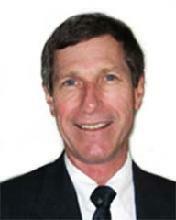 Roger Maurice is a former member of the US Navy and a retired IRS Revenue Agent. 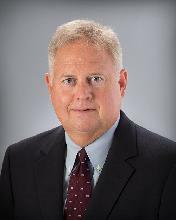 Roger’s 32 year career with the IRS large business, small business, and wage and investment divisions, includes 17 years as a revenue agent group manager, with seven of those years in the Examination Quality Measurement Staff (QMS) in Jacksonville, FL. In this position, he gained experience with issues such as protested to appeals, where tax disputes are resolved. While in the quality control office, Roger also gained experience with audit reconsiderations. Audit reconsideration is the process the IRS uses to reevaluate the results of a prior audit where additional tax was assessed and remains unpaid, or a tax credit was reversed. Also, Roger has experience in handling cases regarding interest and penalty abatement, bankruptcy and TEFRA (the Tax Equity and Fiscal Responsibility Act of 1982) partnership examinations. Roger worked regularly with the appeals division, local counsel and the taxpayer advocate’s office. Roger also specialized in the IRS Innocent Spouse Program that was developed to mitigate existing federal income tax and state tax liabilities to qualifying spouses. This program provides spouses that qualify an opportunity to be relieved of a significant tax burden, especially for those who recently divorced. This experience provides him with a unique understanding of complex tax issues, the IRS audit process, and policies and procedures. His in depth experience with accounting, auditing and tax issues makes him well qualified to meet the needs of individual and small to mid-sized business owners. 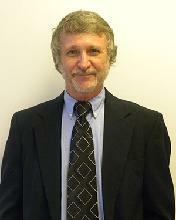 Roger specializes in tax preparation, tax law, tax advice, and taxpayer representation and resolution before the IRS. John has over 30 years of public accounting experience in all areas including auditing, tax and general business advisory services. During this time, he has served some of our area’s top construction, manufacturing, real estate, personal service and medical related companies. He directs our bookkeeping, accounting and financial statement activities, as well as preparing business and personal tax returns. If you need timely, accurate financial information for your business, John can help you with your accounting systems, such as QuickBooks. 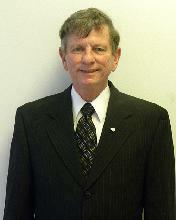 If you have fallen behind in your accounting, John can help you get caught up in an efficient manner. John is also active in the community. He serves the nonprofit community as a Board member and Treasurer and, as such, is a valuable resource for our nonprofit organization clients. Joe retired from IRS with 32 years of service. 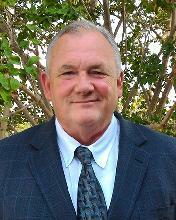 He began his career in the Automated Collection System (ACS) office and was there for four years. In this position, he was responsible for researching and adjusting taxpayer's accounts. Joe was promoted to the collection field function as a Revenue Officer where he worked the most complex cases. He gained experience in all collection issues and the programs available to resolve them. He has extensive experience in offers-in-compromise, installment agreements, audit re-considerations, penalty abatements, currently not collectible cases, cases requesting collection due process or the collection appeal program, levy releases, and lien withdrawals. Joe spent the last thirteen years of his career as a Settlement Officer with the IRS Office of Appeals. In appeals he was responsible for mediating and settling tax controversies between the IRS and the taxpayer. He accomplished this using his extensive experience and understanding of the IRS collection system and the federal tax laws. Joe is uniquely qualified to assist you with IRS collection issues. Jim worked in the Excise Division of the Internal Revenue Service for over twenty years, and has experience in all areas of excise taxes, specializing in fuel excise taxes his last four years. Prior to Excise taxes, Jim was the Anti-Money Laundering Coordinator for the northern two thirds of Florida. Jim wrote the Audit Guide and was the sole National Industry Specialist for the now defunct Luxury Tax. Jim was also a National Industry Specialist for the retail truck tax. In the role of Industry Specialist, Jim taught every incoming Excise Agent these taxes and made contacts that continue to this day. Jim is well versed in every phase of fuel taxes from the terminals where the tanker unload to individual users. Fuel Credits for non-taxable use is an area Jim knows intimately. Gene worked in the International Division of the Internal Revenue Service for over twenty years, and has experience in all areas of transfer pricing, such as cost sharing, royalty and licensing fee, sale of tangible goods, services, and the use of intangibles. Over the years he participated in many transfer pricing cases that involved ancillary technical areas such as Competent Authority and Mutual Agreement Procedures, International Tax Treaty provisions, and foreign tax law. He also has experience in cases involving the Exchange of Information Program, the Advanced Pricing Agreement Program, and the Simultaneous Exchange of Information Program.